Emaar Properties announced on Wednesday a mega project featuring residences and a hotel development at a waterfront location in Dubai Harbour. The new 10 million sqft development is located between Jumeirah Beach Residence and the Palm Jumeirah. “Emaar will focus on building a series of high-rise residential apartments overlooking the Arabian Gulf,” the developer of Burj Khalifa, the world’s tallest tower, and The Dubai Mall, the world’s largest shopping and entertainment destination, said. Emaar’s hospitality project will be operated by its Address Hotels + Resorts and will include branded residences. Dubai Harbour, the new residential and tourist destination being developed by Meraas, was launched earlier this year by His Highness Sheikh Mohammed bin Rashid Al Maktoum, Vice-President and Prime Minister of the UAE and Ruler of Dubai. It features the Dubai Lighthouse, a modern cruise port with two terminals and the Middle East and North Africa’s largest marina. It will also feature futuristic public transport system and water stations. The 135-metre-high Dubai Lighthouse will have an observation deck offering 360 degree views of Palm Jumeirah and Bluewaters, home of Ain Dubai, the worlds’ tallest and largest observation wheel. 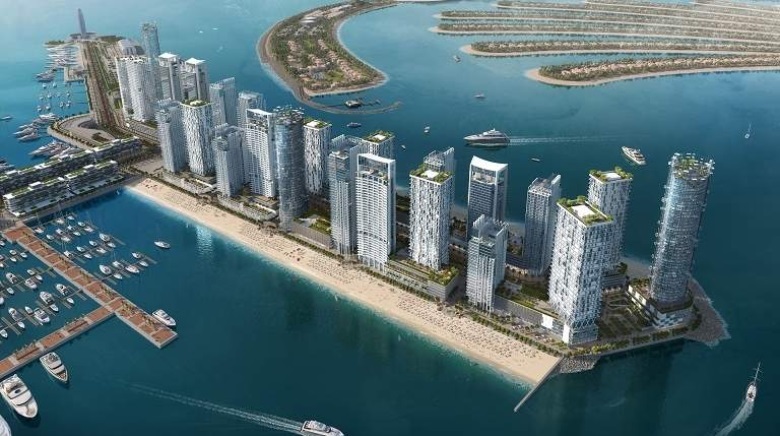 “The residential neighbourhood developed by Emaar will be part of an integrated tourist destination, with the masterplan set to integrate Sky Dive Dubai, Dubai International Marine Club and Logo Island under Dubai Harbour,” Emaar said in a statement. Abdulla Al Habbai, group chairman of Meraas, said Dubai Harbour is central to the efforts to define Dubai as a preferred place to live, work and visit and includes several features that will create incremental value for the local economy and drive growth in the maritime tourism sector. “We are confident that our collaboration with Emaar will reinforce our mission of creating a world-class destination that appeals to people around the globe,” Al Habbi added. “With its array of maritime-oriented lifestyle and leisure attractions, Dubai Harbour will be one of the vibrant leisure and tourism hubs of the city,” said Mohamed Alabbar, chairman of Emaar Properties.